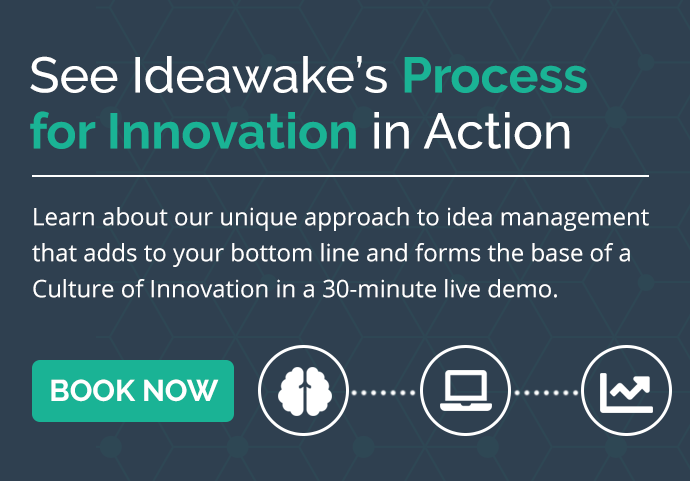 Idea management systems are online & interactive software for collecting, evaluating, and implementing ideas from employees inside your organization. Many organizations are still shooting from the hip when it comes to managing innovation and improvement programs. Accordingly, 72% of companies say they’re coming up with new ideas and innovative changes, but aren’t providing them with the resources, support, and “home” they need to be nurtured (Accenture). Managing innovation requires support and direction. If management is hoping for the best with brainstorming sessions or a suggestion box, they’re missing out on potentially game-changing ideas from their employees and failing to track and hold people accountable for the changes that do get put into development or implementation. Here are the best options, from minimal to optimal, for managing innovation. Dedicated Innovation Employee – If you’re taking the first steps towards more effectively managing innovation, dedicate a manager or member of the office staff to communicate organizational goals and serve as the facilitator of your innovation program. They’ll run your innovation challenges, collect ideas and feedback, answer questions, and report them to management. Innovation Team – Many minds are better than one, and managing innovation is no different. Instead of one person responsible for collecting ideas, make it a collaborative effort to expand the reach of the innovation program. Give them the responsibility of reviewing ideas as well to vet them before passing them off to management. Cross-Departmental Innovation Team – To further strengthen the innovation team, employ multiple perspectives from different departments and from throughout the hierarchy. Unique experiences and responsibilities will further appeal to the entire workforce, and they’ll have a less biased approach to reviewing high-potential ideas and providing feedback. CIO – Present in most large organizations, the Chief Innovation Officer is in charge of managing innovation teams and efforts, and is present among top management. They have the authority and support staff to make faster decisions and employ resources to those in charge of vetting, developing, and testing new ideas form the workforce. Idea Management System – Idea management systems are online software for collecting, evaluating, and implementing ideas from employees inside your organization. Innovation management software stand as an accessible and interactive option for employees to share their thoughts and feedback on specific challenges inside the organization, collaborate to improve them, and track their progress as they are reviewed and eventually developed. Combination Effort – A CIO in charge of multiple innovation teams, each supporting different departments or sections of the workforce, armed with an idea management system capable of collecting and managing ideas from across the organization is a powerful resource. For many small organizations this may seem overwhelming and even many large organizations may have many of these pieces in place, but the key is in coordination. Aligning your entire organization with your continuous improvement team and dedicating the resources necessary for them to ideate, collaborate, and act is the secret to managing innovation and producing game-changing improvements to keep your organization moving forward. Working to improve how your organization is managing innovation? Here are the Top 5 Challenges facing Innovation Leaders…and how to solve them!